Dairy Cow Milk Maker - 40lbs. This feed was designed to help dairy animals with producing milk. 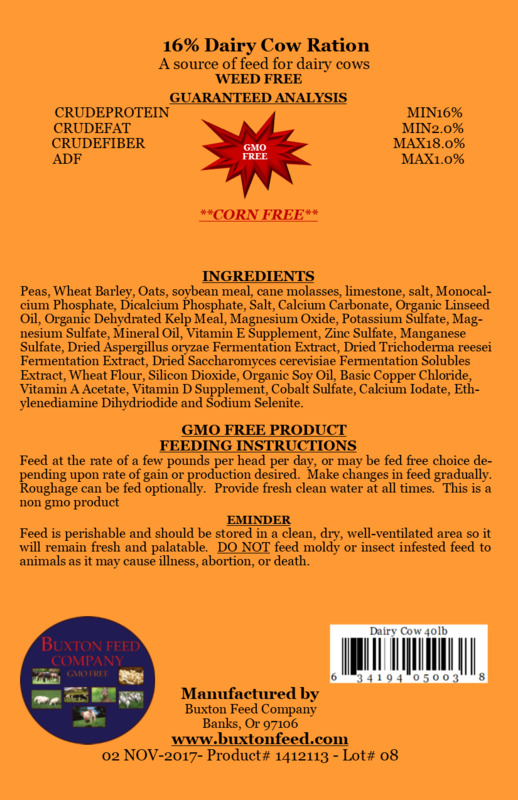 The ingredients are GMO FREE which is a big plus, and the ration does not contain any corn or corn by products. The feed starts with whole grains, and considered to be an outstanding feed for dairy cattle.